Three insurance firms have taken control of over 50 per cent of life insurance market share in respect of gross premium received, leaving 24 others to struggle for the left over, New Telegraph has learnt. 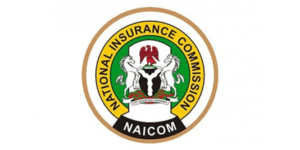 According to the statistics compiled by the National Insurance Commission (NAICOM), Leadway Assurance Company Limited, AIICO Insurance Plc and African Alliance Company Limited have the dominant market share among the listed 27 life underwriters. Details revealed that out of a total of N124.56 billion gross premium received by the 22 underwriters, N67.18 billion was received by the three underwriters with Leadway getting N31.58 billion, representing 25.36 per cent market share, AIICO, N22.17 billion summing up to market share of 17.80 per cent while African Alliance got N13.41 billion, representing 10 .77 per cent market share. 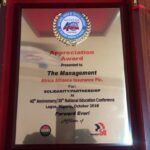 Contrary to the dominant posture of the three, NSIA Insurance, ARM Life and embattled UNIC Insurance Plc held the rear with 0.69 per cent, 0.66 per cent and 0.13 per cent with N858.10 million, N827.71 million and N155.92 million respectively. 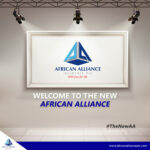 Following closely to African Alliance is Custodian Life Assurance Limited, which received a gross premium of N12.14 billion, representing 9.75 per cent; FBN Life, N9.90 billion, representing 7.96 per cent; Mutual Benefit Life Assurance Company Limited, N4.12 billion (3.31%); AxA Mansard Insurance Plc, N3.57 billion (2.87%) and Royal Prudential Life Assurance Plc, N3.47 billion (2.79%). Others are Zenith Life Assurance Limited, N3.34 billion (2.68%), Niger Insurance, N3.10 billion (2.49%). Capital Express Insurance Co. Limited, N2.87 billion (2.31%); Lasaco Assurance Plc, N2.23 billion (1.79); UBA Metropolitan Life Insurance Limited, N2.09 billion (1.68%) and Standard Assurance Life Company Limited, N1.83 billion (1.47). Also included are Cornerstone Insurance Plc, N1.80 billion (1.45%); Industrial and General Insurance, N1.53 billion (1.23%); Ensure Insurance Plc, N1.24 billion (1.00%); Wapic Life Assurance Company Limited, N1.22 billion (0.99%); and Old Mutual Nigeria Life Assurance Company N1.01 billion (0.81%). The data also revealed those with zero market shares to include Alliance and General Life Assurance Plc, Spring Life Assurance Plc, Goldlink Insurance Co. Limited, Great Insurance Co. Limited, and Nicon Insurance Plc. 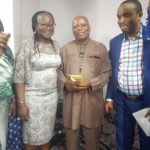 NAICOM had revealed that 46 out of the 57 insurance and reinsurance firms had less than two per cent of the insurance industry market share with Leadway having the largest shares both in Life and Non-Life insurance businesses as it also controls 10.69 per cent market share in the Non-Life business. The regulator has been more concerned with the growth of the sector by putting in place reforms to this effect.